Plains, Georgia and President Jimmy Carter go together like peanut butter and jelly, that’s why the Georgia Peanut Tour would not have been complete in this area of the state without a visit to the home of the 39th President of the United States. 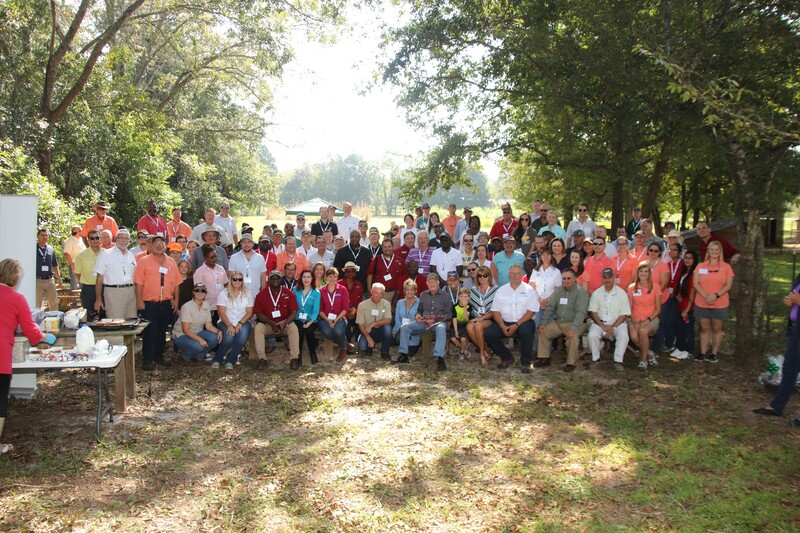 Tour attendees were able to visit President Carter’s Boyhood Home and learn firsthand about the life of President Carter as a child. The former president talked about his days living in Plains and then in the White House. 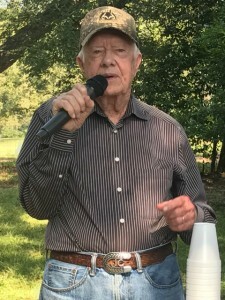 President Carter started his peanut business at the young age of five. That’s when he pulled up peanuts from his father’s field, cleaned them and boiled them. He then headed into Plains, Ga. to sell the boiled peanuts. 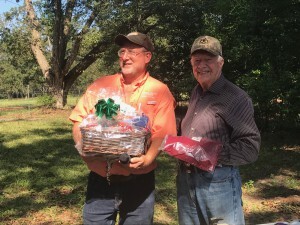 He made money selling the boiled peanuts until he was 8 years old.
. Also at this tour stop, attendees were able to enjoy grilled pb&j’s presented by the National Peanut Buying Point Association. 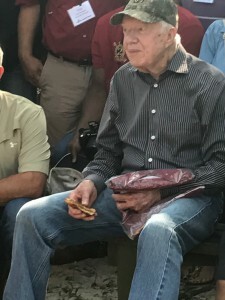 These sandwiches are a favorite for tour attendees- President Carter even swiped one up before taking a group photo with the crowd. This weekend, Sept. 23, the town of Plains celebrates with the annual Plains Peanut Festival. There are several activities planned all weekend. To learn more about the festival click here.